Most people think that mobile phone calls cannot be eavesdropped or tapped because the system already uses encryption. Unfortunately this is not the case! Actually in most countries the signals are encrypted between the mobile phone and the base station but this data stream can be decrypted with a normal PC. It is even easier to tap GSM phones with a device that simulates a base station which inserts itself between the mobile phone and the provider network. In Germany such easy-doing eavesdropping causes damages of approx. 10 billion Euro per year just in the field of industrial espionage. PKI 2775 offers the right choice in order to be prevented from this! Each PKI 2775 works with an individually generated and certified key pair. These are stored on the net card which is inserted into the phone. If another PKI 2775 (which has its own individual key pair) is called, using the crypto function, the partners are authenticated by means of the two key pairs and the two chip cards. A “one-off” session key (one out of 1038 possible keys) is generated and this is used only for this single communication. 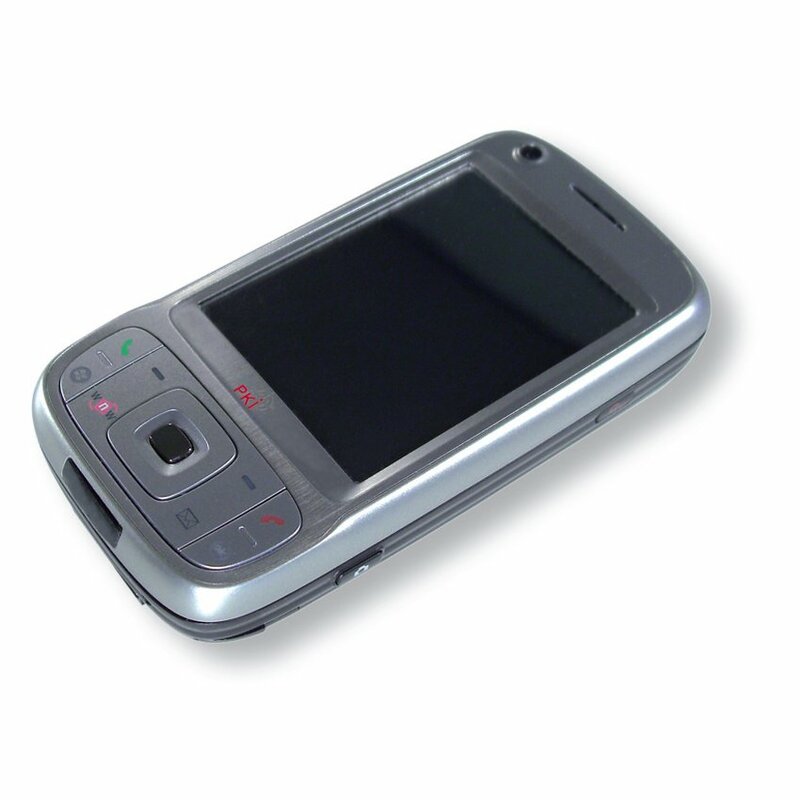 This session key encrypts all signals ransmitted between the two phones. Whoever intercepts this encrypted data stream will only hear a noise which cannot be decrypted even with the highest performance mainframe computers. PKI 2775 operates efficiently in all standard 900/1800 MHz GSM networks in all countries. In addition to the integrated encryption system PKI 2775 has all the features of a normal, Up-todate business mobile phone. It still can be used for unencrypted calls to any other phone. For all encrypted and secure communications as well as for all unprotected calls your standard SIM card is used – therefore you do not have to change your phone number in order to use all PKI 2775 features.